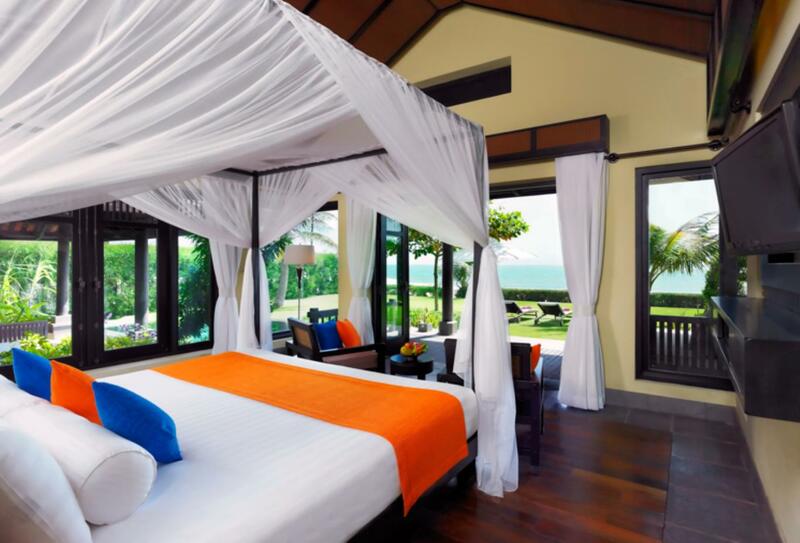 Set on Mui Ne’s weeping beach, just four hours from Ho Chi Minh City, Anantara Mui Ne Resort provides chic living. 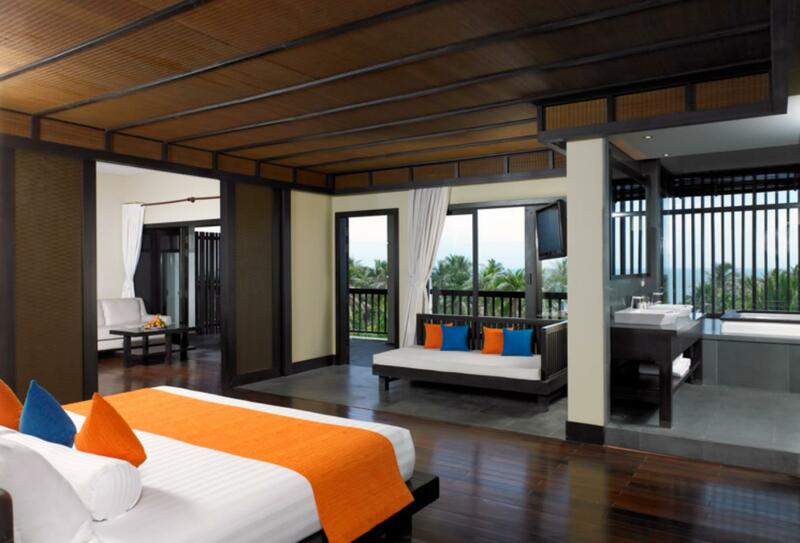 There are just 89 rooms, suites and pool villas all with sleek contemporary décor and Vietnamese character. 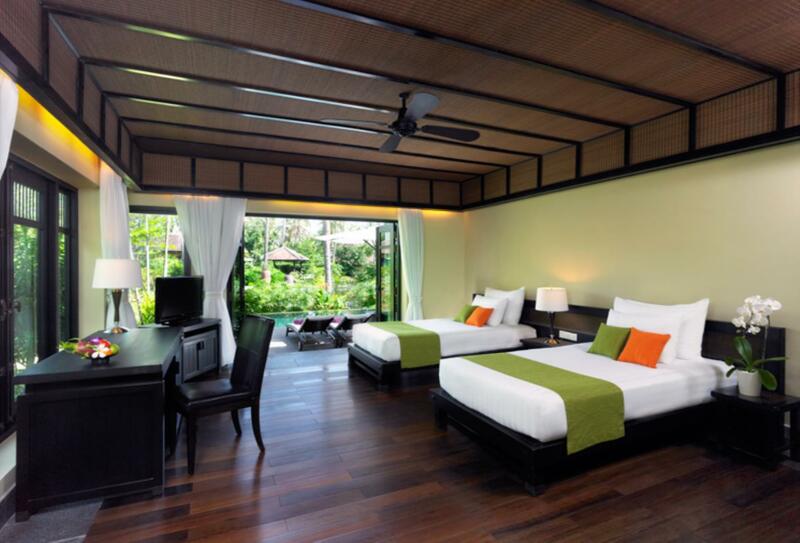 The hotel has a fitness centre and spa and offers yoga classes and Vietnamese cooking classes. There is a swimming pool, and magnificent beach with water sports. You’ll find several dining options and bars all offering something slightly different. 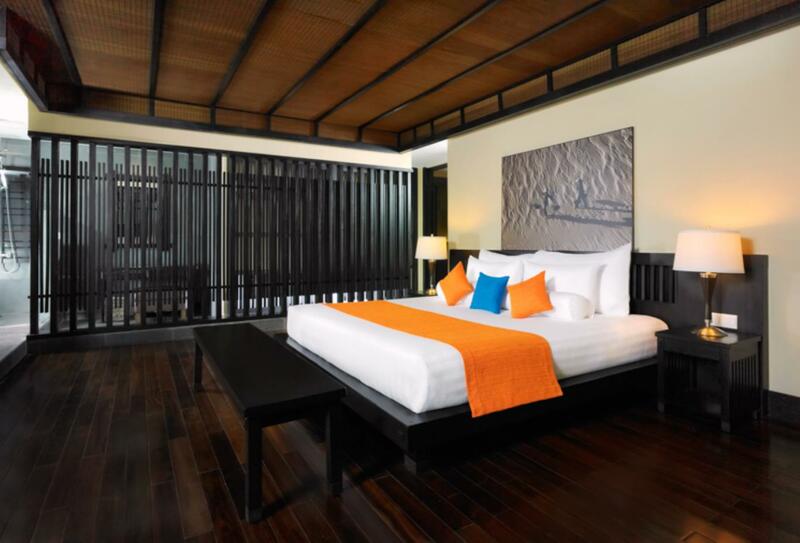 Located in the main building the spacious Deluxe Rooms enjoy views of the lush gardens from their private balcony and luxurious interiors. 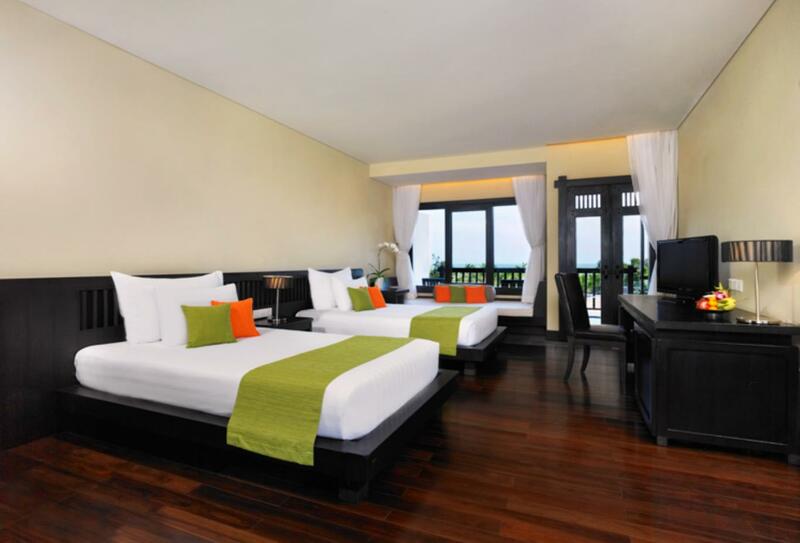 Overlooking Phan Thiet Bay this room boasts enviable views from glorious sunrises over the lagoon to the pool and tropical gardens; the spacious Deluxe Room enjoys a luscious interior to complete the magical picture. This sumptuous holiday cocoon will provide you with sweeping views of the ocean, lagoon and beach, every modern amenity and the utmost in style and comfort. 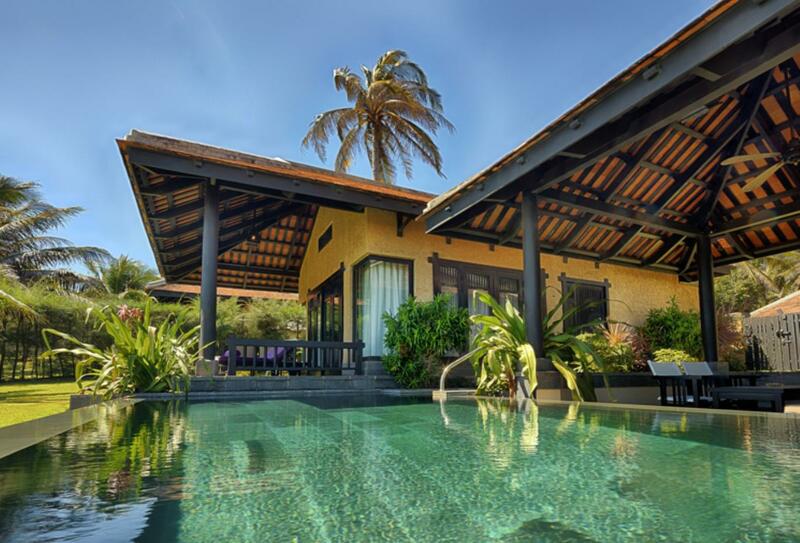 This chic, modern tropical beach front oasis provides guests with their own private pool plus extensive outside relaxation and dining areas; superb views of the lagoon may be enjoyed along with luxurious amenities. 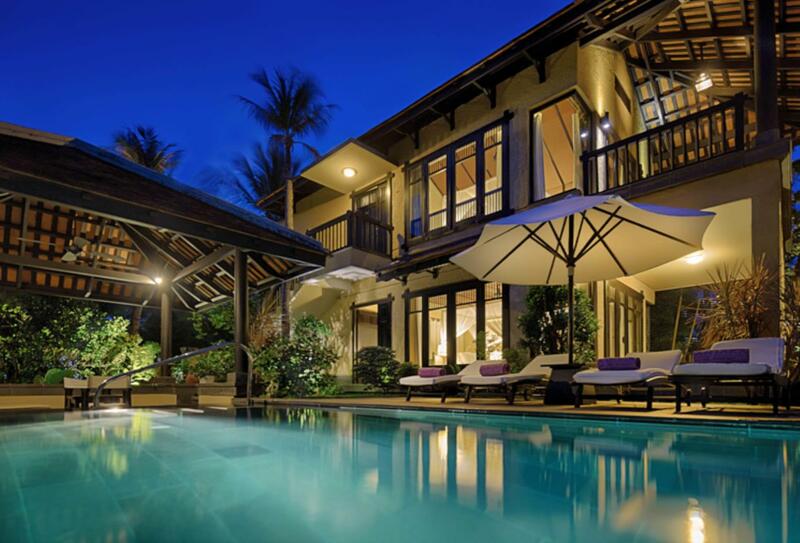 An expansive villa set on two levels offering seclusion. There is a private pool, patio, outdoor pavilion and balcony on upper level. 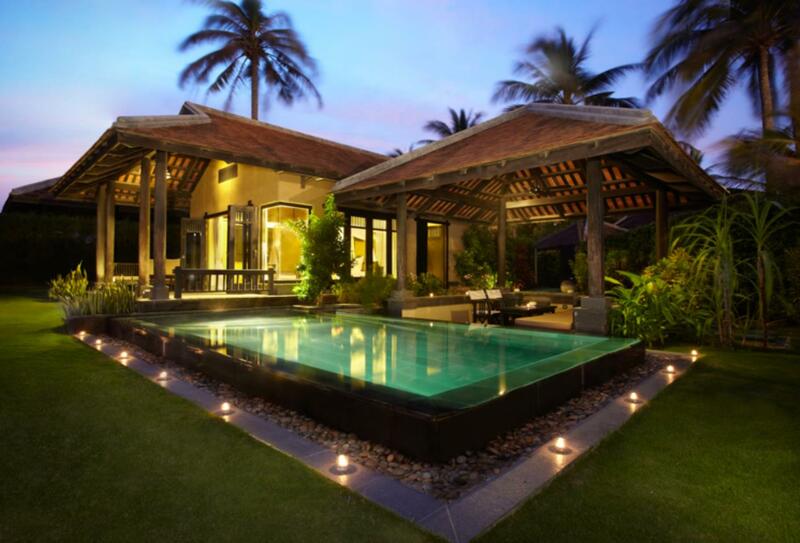 This expansive two bedroom villa offers ideal family accommodation with a private pool, outdoor dining and patio. 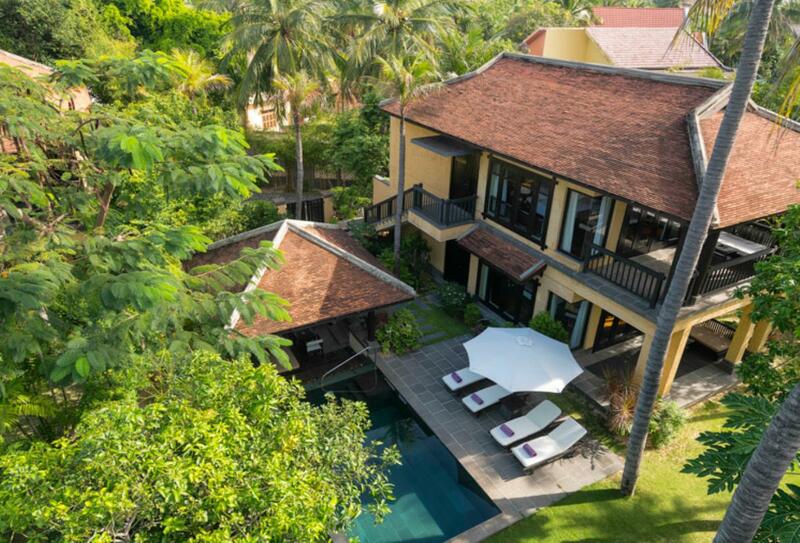 This expansive two bedroom residence offers ideal family accommodation with a private pool, outdoor dining and patio. 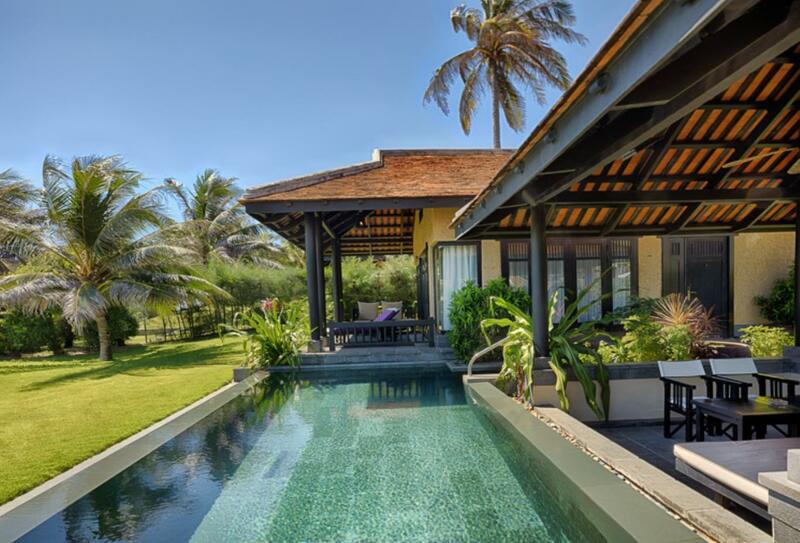 A palatial home on the shore of Phan Thiet Bay with two large, ensuite bedrooms, a private swimming pool, dining pavilion and private balcony with daybed. 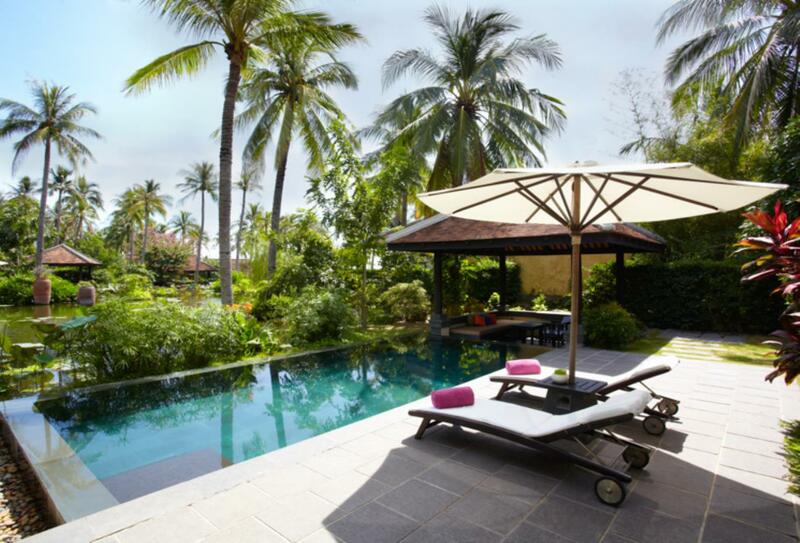 This private and luxurious villa on the shore of Phan Thiet Bay has a private Jacuzzi on the balcony, a sitting area and a daybed. 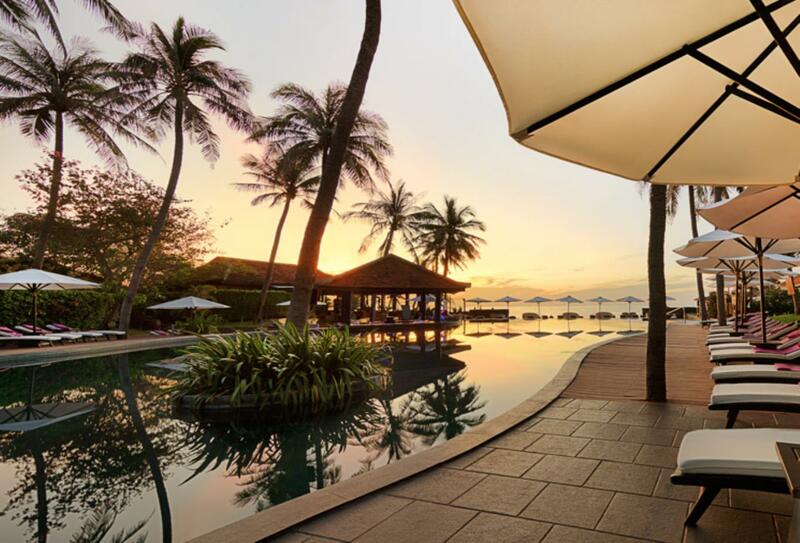 Located on the coast and oozing Vietnamese culture, this resort in Mui Ne makes an ideal choice for honeymooners looking to experience a luxurious and romantic retreat whilst still wanting a taste of local life. Cost: Complimentary. Minimum stay applies. Honeymoon request must be noted in reservation. Copy of wedding certificate must be presented at the time of reservation and on arrival. Combinable with Early Bird and Long Stay offers. 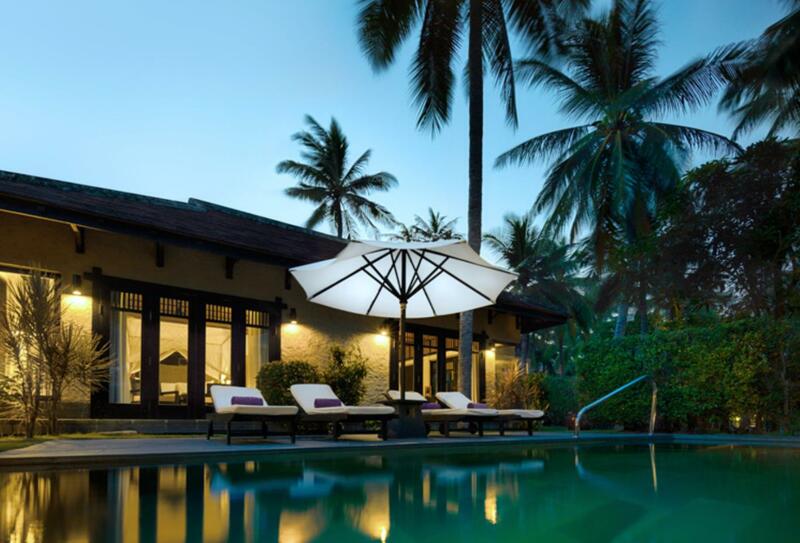 Anantara Spa offers a wide range of replenishing treatments, blending modern techniques with ancient remedies. 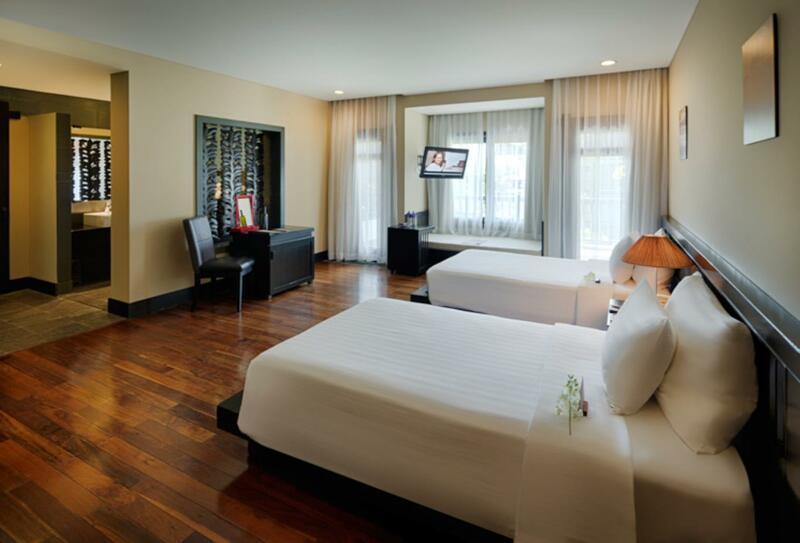 You will find five spacious treatment rooms designed in stone and natural wood. 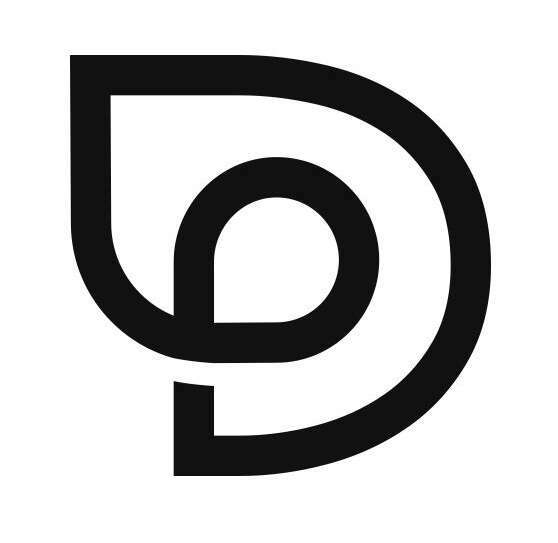 Serving Vietnamese and international dishes. There are theme nights and a la carte plus a great selection of cocktails and wine. Open for breakfast, lunch and dinner between 06.30 and 22.00. Enjoy an exceptional gourmet experience in The Wine Room – so much more than an average wine cellar; sample tailor-made menus flawlessly paired with the finest wines with speciality cheeses and charcuteries. Open 11.30 to 22.00. Designed in chocolate and cream tones this comfortable lounge serves tempting cocktails, delicious tapas and snacks and makes for an ideal venue for catching up with friends or your favourite author. Open 11.00 until late. A romantic poolside restaurant that offers fresh fish and mouth-watering steaks, open 11.30 to 22.00 Friday to Sunday. 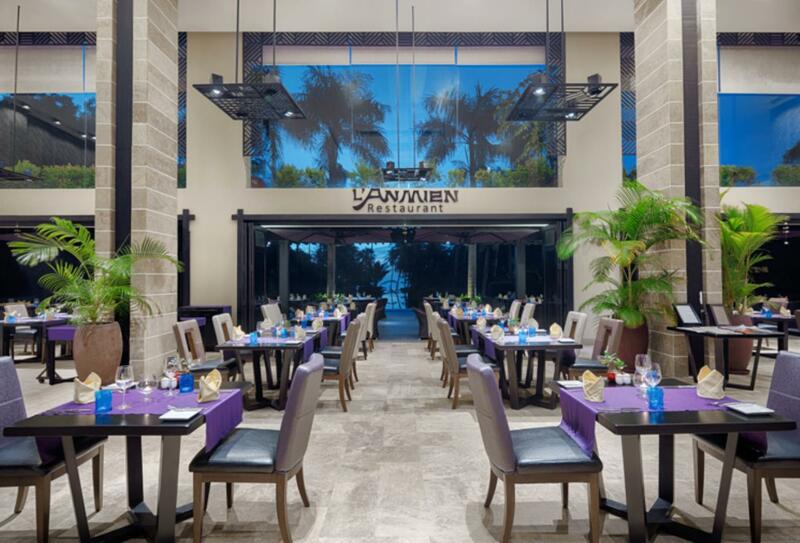 Enjoy light meals poolside in view of the stunning ocean open 09.00 to 22.00. 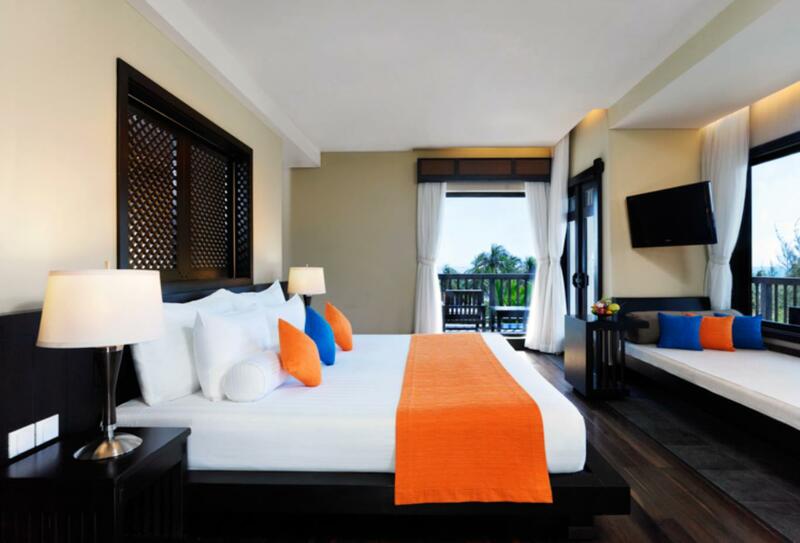 Anantara Mui Ne Resort is situated near the city of Phan Thiet which is about 4 hours by car from Ho Chi Minh City.